Obituary for Barbara E. "Barb" Scheetz | Joseph W. Nickels Funeral Home, Inc.
Barbara E. Scheetz, 68, of Herminie, passed away Friday, Oct. 5, 2018, at her daughter's home, surrounded by her family, after a short battle with cancer. She was born Feb. 23, 1950, in Pittsburgh, daughter of the late Ira and Ruth (Sommers) Scheetz. In addition to her parents, she was preceded in death by a sister, Dianne Robbins; and brother, David Scheetz. 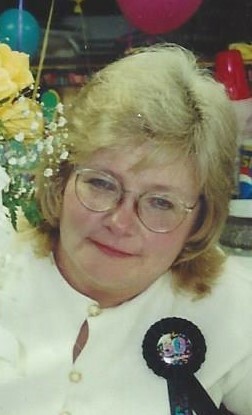 Barb was a member of St. Edward Church in Herminie. She had a passion for cleaning and doing laundry. Caring for the people in her little town of Herminie was her life's mission. She especially enjoyed going to all her grandson's sporting events and was Tannor's biggest fan. His "Mal Mal" never missed a game. Barb is survived by her loving daughter, Tammey (Bill) Vanyo, of Irwin; her special grandson, Tannor A. Vanyo; niece, Dennyse (Craig) Martino, of Irwin; great-nephew, Bryce S. Martino; nephew, Steven Robbins, of West Newton; sister-in-law, Mary Scheetz, of Oregon; and her cat, Daisy, whom she loved dearly. Barb's loving, caring ways, her smile and chuckle will be forever remembered by all of her special friends that she truly considered her family. The family would like to thank Bridge's Hospice in Trafford for all their compassionate care. There will be no public visitation per Barb's wishes. JOSEPH W. NICKELS FUNERAL HOME INC., 404 Sewickley Ave., Herminie, PA 15637, 724-446-7251, is in charge of arrangements. Memorial contributions may be made to the Leukemia and Lymphoma Society, 3 International Drive, Suite 200. Rye Brook, NY 10573, in memory of Barb. To send online condolences, please visit www.nickelsfuneralhomeinc.com.